This is a tradition I started myself when I was about 12 years old. I love writing Christmas cards and when I was at school I always used to write hundreds to give to my friends, teachers and other people as well. There was always a few left over so I used to always sit down on Christmas Eve and write them out to all my neighbors and then wrap up warm and go and post them through each letter box. I love doing this as I love seeing or hearing how excited people are. I love seeing all the Christmas lights and decorations outside and I love how happy everyone is on Christmas Eve as well. It's a tradition I'll always keep. This is a tradition once again that was started when I was very young. We all go out to a massive shopping centre and do our Christmas shopping together. Obviously we all part ways at some point during the day as we don't want to all be together when we are buying each others presents but then we all come bag together, get a hot chocolate from Costa and then go out for a meal after all the shopping is done as we all think it is very well deserved. This year we are joined by my cousin who is visiting from Mauritius which will make it that little bit more special! Living in London means I'm lucky enough to be able to always go to Winter Wonderland. I just love the atmosphere there and it always makes me feel super festive. If you haven't been yet I'd highly recommend it.. 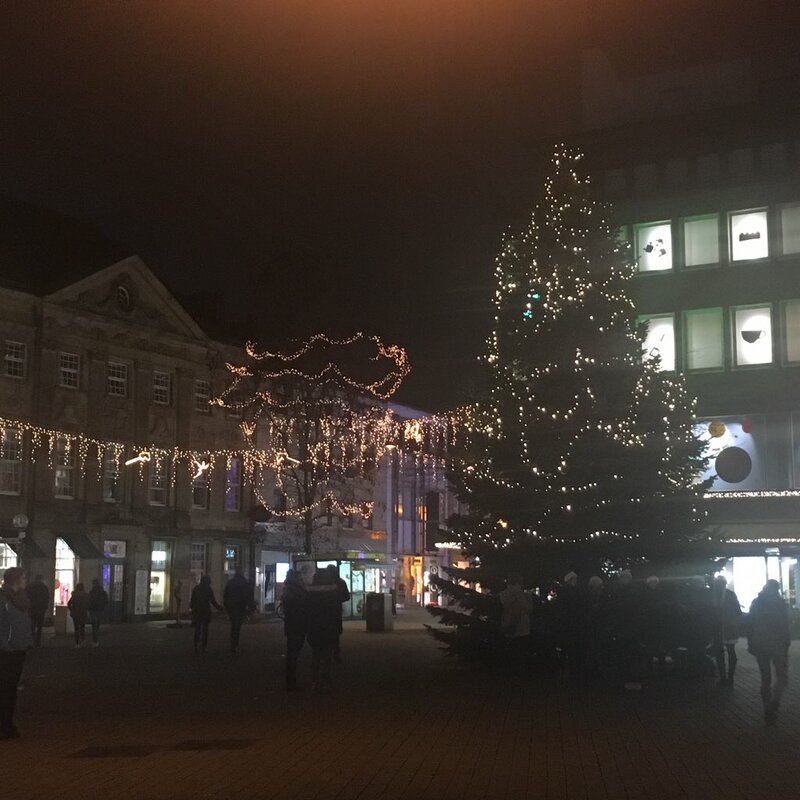 I love visiting the Christmas markets there and going on the rides and then having a hot chocolate and going ice skating as well. I've already been winter wonderland this year and I just love the hustle and bustle of it all. 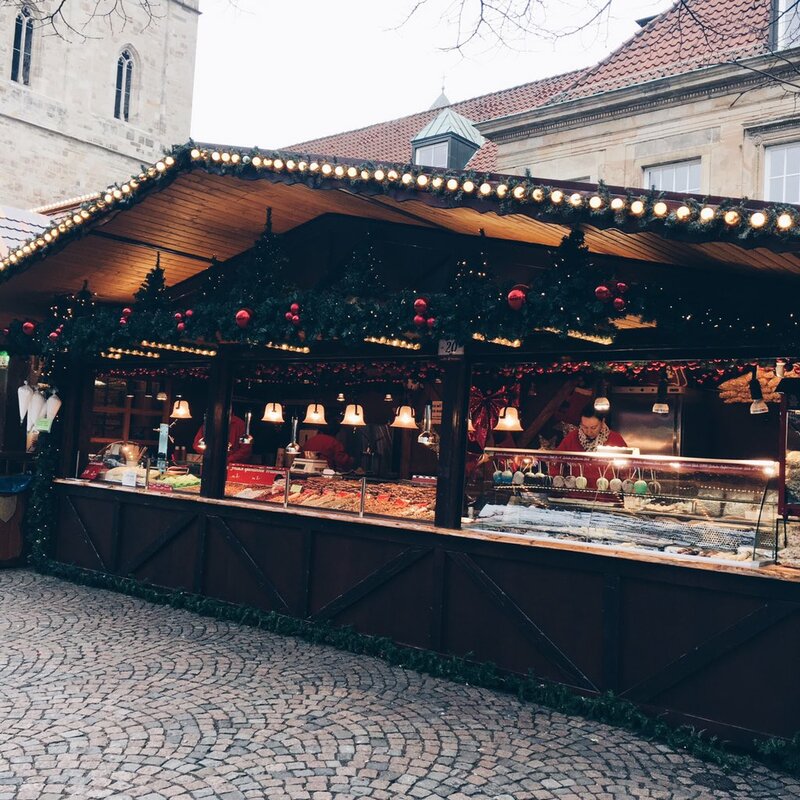 Like I've said above I've also been lucky enough to go and visit the christmas markets this year in Germany which were absolutely amazing and something I'd highly recommend. There's nothing better than sitting in front of the TV or Netflix whilst watching a lovely Christmas film and wrapping presents for your loved ones. It just makes me so super happy. This year I have a lot more time than usual to buy and wrap presents because we I planned my leave really well so I'm able to spend a little extra time practicing and improving my skill in gift wrapping. I've bought a lot of presents this year so I'm excited to get them all wrapped. Every year my mum manages to find some cinnamon hot chocolate and we always sit down in front of the TV whilst watchin Christmas specials and drink it. It's just such a lovely drink and tastes a million times better than normal hot chocolate. I definitely think places like Costa and Starbucks should introduce it as I reckon it will be a best seller but definitely have a look online for some simple recipes. On Christmas Eve me and my Dad always pick up the Turkey that we have pre-ordered, prep it and then put it in a plastic box (that has been cleaned) full of water and different spices. We then leave it in a cold place (sometimes outside) overnight to late the Turkey absorb everything. It's absolutely delicious the next day. This year we are going to have a busy house because there's a lot of family coming round so we have ordered two turkeys! A lot of prep will be going on Christmas Eve and the kitchen will smell absolutely amazing. Being a catholic one of the most important traditions for my Dad, brother and myself (My mum isn't a catholic so doesn't join in) is going to Christmas Mass and I absolutely love it. We go church all year round anyway but Christmas is the time of year where the service is just so incredibly beautiful. I've been going to the same church since I was 5 so I always love seeing everyone that I've known for years come together. It's really heartwarming and after all that is what Christmas is all about. Sadly this year I'm working so instead of Christmas Day mass I'll be heading to midnight mass which I know is just a beautiful a service. So there we have it. Just a few of my Christmas traditions. 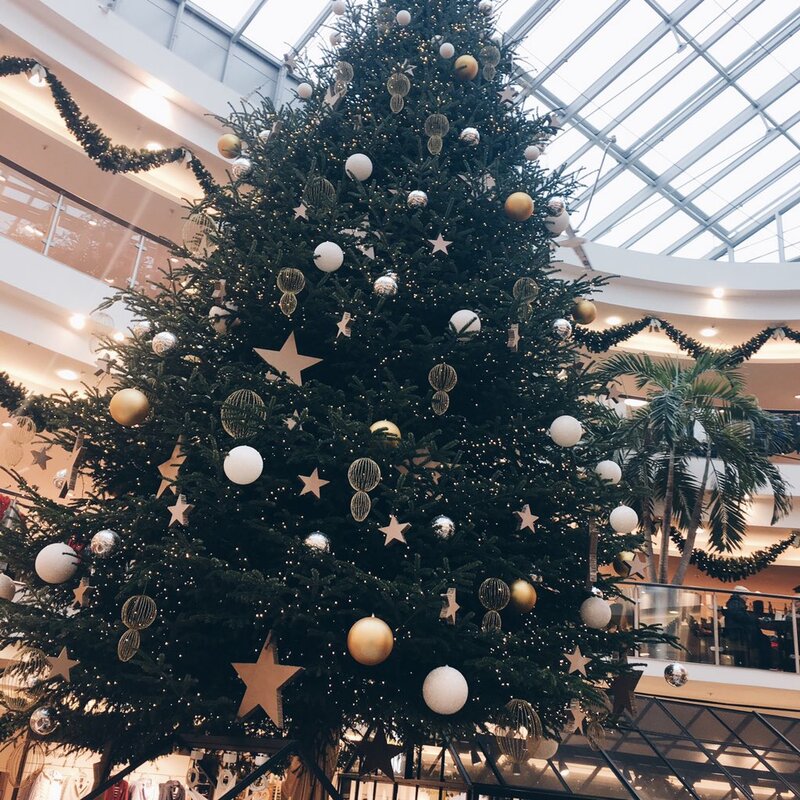 I absolutely love Christmas, it is my favourite time of the year and writing this post whilst having Christmas music on in the background has made me feel just that little bit more festive. If your traditions are similar to mine then be sure to let me know in the comments below. What are your Christmas traditions? Have you got any new ones this year?